Now Many laptops are manufactured without being equipped with a DVD Drive, so to install Windows We must use flash drive as the bootable media. Before you Install Windows, you have to create USB bootable windows first and in this tutorial I will explain you how to create Windows Installation Media using PowerISO. Want to know more... please read the article until finish. 5. In the Create Bootable USB Drive window click More button ... to open the Operating System file in ISO format. 6. 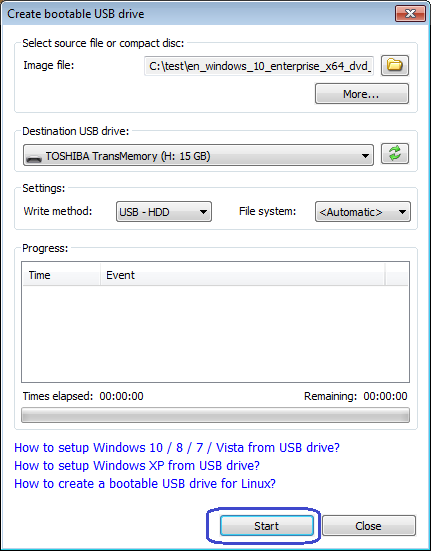 Select the USB Drive that will you use to create USB Bootable Windows. If you plug in many flash disks, please click to select one of the flash drive that you want to use. 7. On the Write method select USB-HDD. 8. 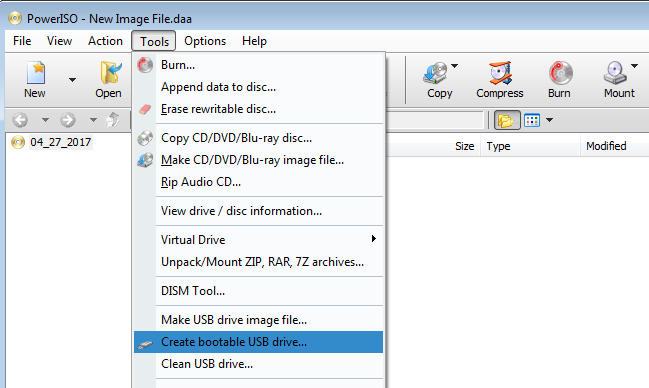 Click Start button to start creating bootable USB drive. 10. 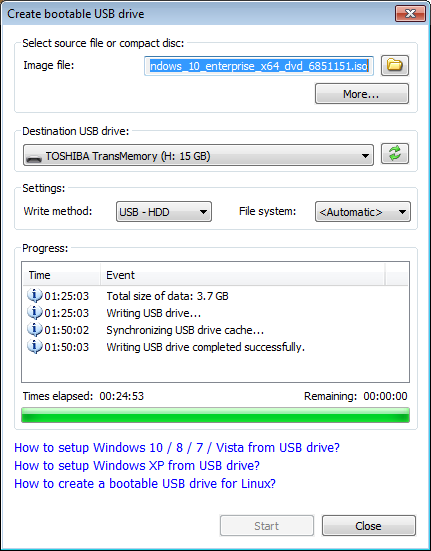 PowerISO will start making Bootable USB drive, It's marked with the emergence of progress information. 11. Af making windows bootable is complete, message will appear "Writing USB drive completed successfully". If no Error occurs in the above process, then you can use the flash drive to install Windows. And as long as I use this way I always success creating usb bootable windows.